Phil Gordon plays poker with the best players in the world. He has won, and lost, in tournaments and cash games around the globe, all the while studying the game and learning from every hand dealt. 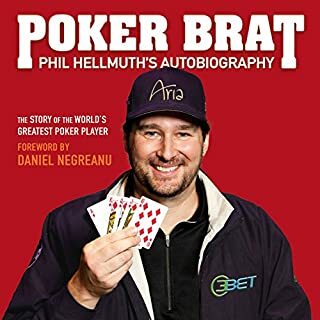 As the resident expert and cohost of Celebrity Poker Showdown, Phil has quickly become one of the most sought-after teachers of No Limit Texas Hold'em. It's a tough game. But anyone can become a winning player with the right amount of courage, patience, aggression, observation, and, perhaps most important, dedication to becoming a better player. 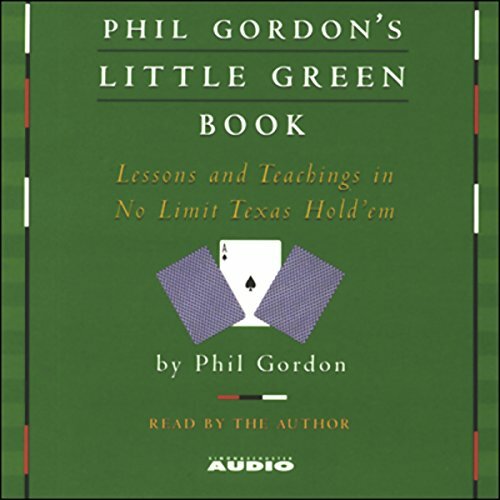 After fifteen years of keeping notes on the things he's learned, the greats he's played with, and the celebrities he's taught, Phil Gordon has poured every single thing he knows about No Limit Texas Hold'em into this little green book. 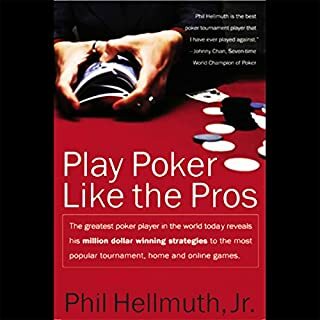 Taking a page from Harvey Penick's bestselling book of golf wisdom, Phil plays the role of both teacher and student, offering up insightful tips on how to think about poker and how to develop a singular style of play. 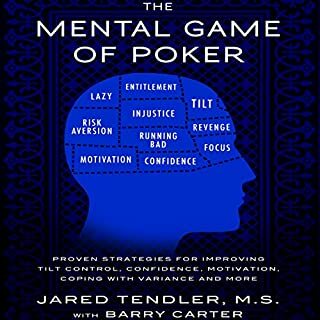 Through philosophy, psychology, strategy, math, and the knowledge gleaned from playing poker with everyone from T. J. Cloutier and Phil Ivey to Hank Azaria and Ben Affleck, Phil breaks down the game into enlightening instructional tidbits and illustrative anecdotes that inspire the kind of persistence and motivation necessary to improve your game. 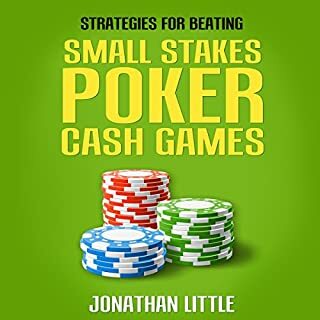 A book to rank with Doyle Brunson's Super System and David Sklansky's The Theory of Poker, Phil Gordon's Little Green Book deserves a spot on the shelf of every serious student of the game. ©2005 Phil Gordon (P)2005 Simon & Schuster Inc. All rights reserved. So incredibly logical!! making these rules seem so simple is the key to Phil Gordon's genius! don't mistake them for being generalised either, this truly is a scientific method of looking at poker situations. the hard part is applying all the knowledge and perspectives simultaneously to achieve Phil's great level of play 5 stars!! I actually bought the book first and was completely impressed. 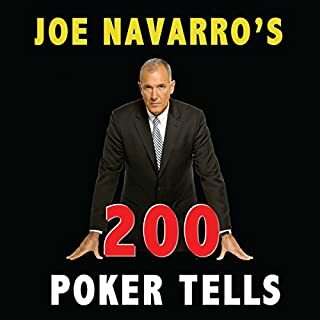 Of course there is going to be too much stuff to remember (poker is a very complex game), so I decided to get the audio version so I could easily review the material whenever I get a chance. 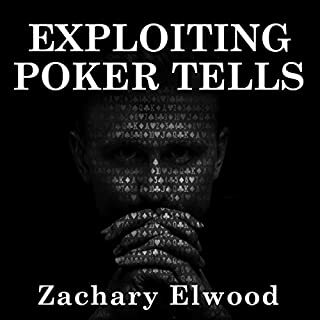 Every time I listen to this I manage to find some kind of hole in my game or a great nugget of information to exploit someone with. 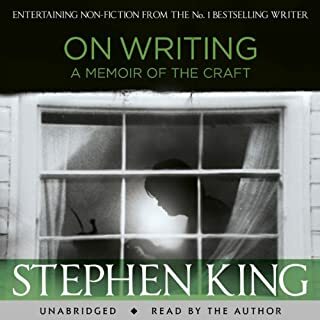 This is a truly great book that can be listened to over and over. 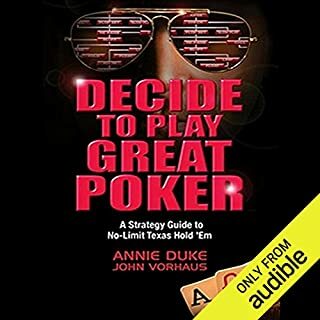 I have read quite a few books on poker and in my opinion this is the next best thing to Harrington on Holdem (which would be impractical for audio). I enjoyed this book so much that I ended up buying the actual book to understand the deeper issues more clearly. 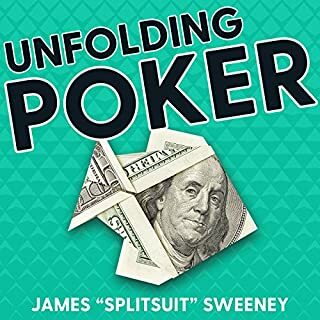 Phil Gordon is a good writer who helps the reader understand the right frame of mind to play no-limit poker. His advice is clear, but not simplistic. 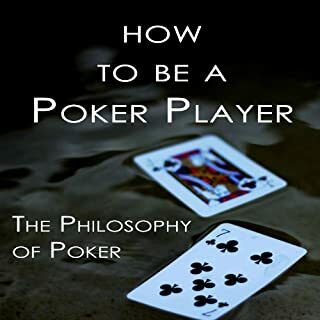 Most poker books will devote too much time to explaining details in the interest of completeness, but Phil devotes his words to reinforce the ideas and decisions that a new player should always remember. I am certianly a novice player, but his style and clarity has drawn me into learning much more about the game. His starting hands guide is one of the easiest to understand. I have a lot of respect for Phil Gordon because he's such a solid pro. Very respectful and knowledgeable on the game. I listened to this book for about 2 weeks straight because I knew I was going to miss things. You must listen to this multiple times to get the information properly. I listened in preparation for my trip to the poker tables 2 hours away from home and I had a winning session. I played $1-$2 no-limit holdem and came home with $500 profit. To those that say it's only for tournament play is mistaken. Most of his advice pertains to all games, be it live or tournament. Thanks Phil. I will continue to read this because every time I do, I get more information. I thought Phil Gordon's Little Green Book was very good. 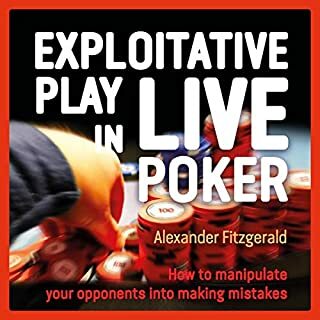 Altough it doesn't offer a lot of specific details on how to play your hand it does give a lot of practical information including: playing your hand preflop, postflop, on the tun and on the river, etc... Overall it was an interesting audio book. I would recommend it. It reminds you that you must be aggressive. Good book to read/listen to every few months to remind you some stats. Helped me learn that hands I previously considered trash, are actually worth playing. Has improved my game dramatically. Good tournament strategy book. Recommneded for players who finish middle of the pack regularly. 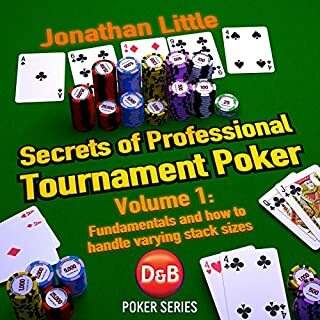 If you want to learn No Limit Texas Holdem poker or improve your game, this is one of the books you will need to own. You may have see Phil on Bravo channel's Celebrity Poker describing the stars good, bad, or ugly play of the cards. He says that you can't play poker just by a chart because it's much more complex than black jack. He'll explain what to do and when to do it from each position at the table (under the gun, on the button, or in the big blind). He says he doesn't know everything about Texas Holdem and no one does. There's always something new to learn and you should develop your own style. excellent teaching tool for poker. READ PHIL GORDON'S LITTLE GREEN BOOK AND WIN! 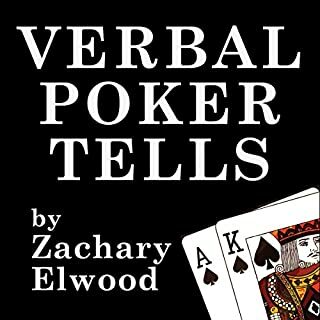 This is the first and foremost poker book (audio or otherwise) I would recommend for anyone playing at any level of poker! Phil Gordon's Little Green Book is chock-full of condensed, very valuable information. He touches on things you used to know, but forgot... he reinforces ideas you already had but were unsure of, and points you in new exciting directions all which are sure to greatly improve your game. 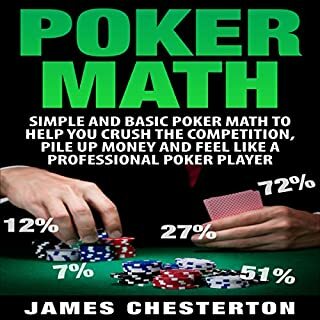 I've read alot of poker books and most were full of nothing but a few good points here and there. This book has it all from start to finish. Read it (or listen) and win! This was a no-nonsense approach to playing winning poker. Phil dove right into what goes on in his head when sitting down at the poker table. He tells you how to handle different types of opponents, simplifies the math, and goes over the various situations that arise in almost every game. Keep a pen and pad handy because you will want to take notes. 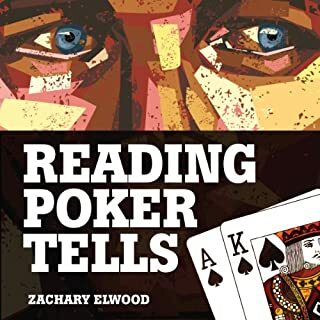 This is one of the better poker books out there. 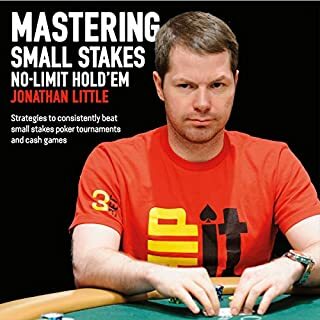 Everything has been explained very clearly in this book and it helped me a lot mainly focused around mtt but cover all areas of nlh. Really useful, actually, so much so that I think I'm going to buy the print version. 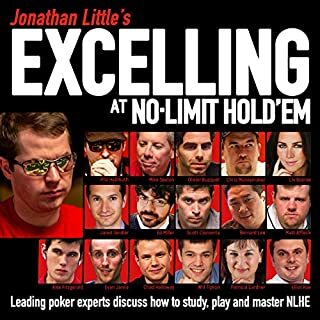 This is a great little book that covers a fair chunk of the world of no limit holdem, in an appropriate level of detail for a beginner, or someone who needs a refresher. That's not to say it's comprehensive - it isn't, and the running time reflects that. 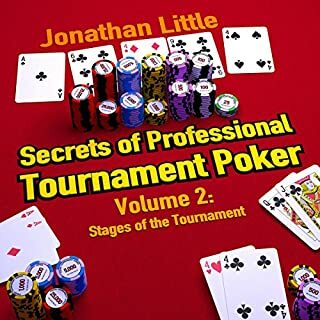 After listening to this, you're going to be ready to enter jump in to a home game or a small tournament, or dive in to some more advanced books (of which there don't seem to be that many on Audible, which is a shame). Would highly recommend this. Phil Gordon narrates the book himself, and does so well - he's engaging, and runs at a suitable pace. The occasional bit of bluegrass music here and there is used appropriately.